Hi all. Welcome to the art gallery. Herein we'll have work from both professional and fan artists alike. Anyone who has a piece they want in here is welcome to contact me, as long as it can easily be seen as Robin relevant. Just click on the link to the artist's name to view the picture. In the even that I have multiple pics from the same artist, you click on the picture number/name instead. Cool? Brandon has quite a wide body of work. He's done pencils for Elfquest, New Warriors, Godzilla and other comics. 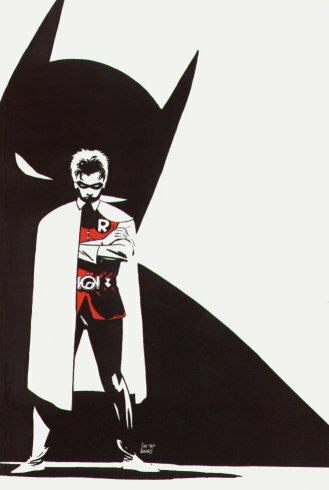 He's responsible for most all of the cover art and interior illustrations you see in any Star Wars book, works on Batman Beyond and most recently launched his own creator owned book at Image which he writes and draws. I met Brandon recently; he was doing a promotional signing for his new book (Journeyman), and he's actually a really nice guy which brings the ratio of cool creators to cruddy creators I've met even higher (and don't ask me which creators I didn't like, I don't feel like flaming). Hope you enjoy the scetch of Robin he busted out for me. He was quite enthused to be asked to draw him too, btw, I guess he hasn't gotten enough work at DC. 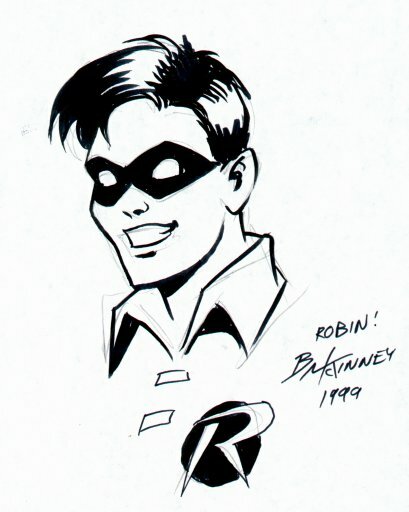 Of course, who WOULDN'T want to draw Robin? 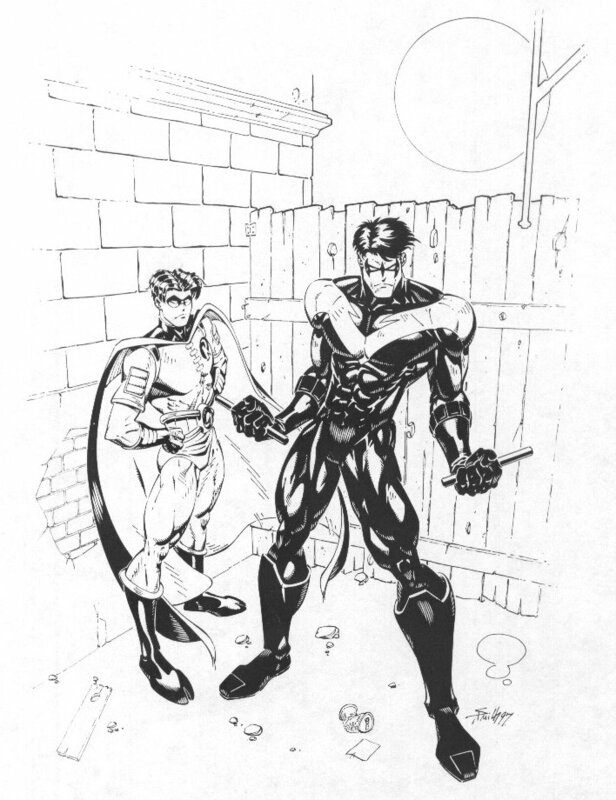 This piece was brought to my attention by James Parkhurst, webmaster of Nightwing's Lair. For the life of me, I can't recall the artist's first name. Here we've got the art to the cover of Batman Chronicles: The Gauntlet.